THE SIKH NUGGET: Sikhism goes hi-tech with Ipads and Apps. Sikhism goes hi-tech with Ipads and Apps. Religion has gone hi-tech. And spiritualism is on fast-track. Gadgets can now connect you to God in no time. Forget about leafing through the pages of Guru Granth Sahib, switch on to your iPad or iPhone and recite the gurbani hymns saved in it. Imagine a Raagi rendering kirtan with iPhone placed on the harmonium. iPad, iPhone, Android, Symbian, Windows Mobile seem to have become part of the routine vocabulary of Sikh preachers and among ardent Sikh devotees. They are adapting the latest devices and applications to read gurbani from Guru Granth Sahib.These applications -- iSikhi, iGranth, SikhiToTheMax, Gurbani Anywhere -- which are available on various mobile platforms are becoming popular among the young Sikh generation. Even on Twitter, these are much sought-after and are among the hottest 'search'. They not only provide the entire compositions of the holy Sikh book but have also made the search of hymns a very easy task. Their popularity springs from the fact is that the transliteration, translation and interpretation of the gurbani hymns are also available instantly. Though started in the West by the Sikhs settled there, the people in the East have taken shine to these Apps now. "Most of the Raagis, especially the young ones, have already adapted these devices and their applications. In place of Pothis (book of compilation of selected hymns), they place iphone, androids or other mobile devices in front of them on their harmoniums while reciting kirtan," said Gagandeep Singh, a Jalandhar-based Raagi. "Some of the very prominent Raagis are also using these," he revealed.Young Sikh IT professionals abroad played a key role in developing these Apps. Individual efforts went a long way in making these Apps possible. SikhiToTheMax, gurbani search engine developed for Windows and Windows Mobile by UK-based Tarsem Singh Khalsa, pioneered the revolutionary trend. Mandeep Singh, CEO of a US-based IT company, who developed iSikhi App, told TOI that iSikhi was born as a result of second generation iPhone. "I was using SikhiToTheMax since 2006, but when I purchased iPhone I could not find any alternative to SikhiToTheMax. Then I decided to develop iSikhi. We teamed up with SikhiToTheMax and use their database till date. What was unique about iSikhi is that it was the first gurbani search engine on iOS (iPhone/iTouch) platform. Apple's strict development requirements and absolutely no support for Unicode or other Indian languages led us to build our application for grounds up," he said. Three persons developed this App in six months and released it in January 2009. "We are working on the next version of iSikhi which would be cloud-driven. It will be available for Windows, MAC, iOS (iPhone/iPad/iTouch), Windows 7 Phone, Android Phone, and all other mobile devices," Mandeep said. Richipal Singh, another US-based IT expert, said that he developed similar App for Android after one of his friends, who drives taxi in New York and was fond of listening and reading gurbani, bought an Android phone. "He came to me and asked me if there was a gurbani App, he could use it to read gurbani, I already had iPhone and was using a gurbani search App iSikhi, so I presumed there should be one. But after we searched, we didn't find any, so I decided to help him out and wrote a basic version in a week and released it on Android App store for free. I did not have time to continue coding so I open-sourced it, after which Parminder Singh, who was writing his own version, and Karam Singh joined in. Parminder added enhancements and features to the App. "Pune-based Sukhwinder Pal Singh, director of a Japanese multinational IT company in India, revealed that they had started using the applications in their organization SOCH (Sikh Organization in Care of Humanity) -- a group of Sikh IT professionals in Hyderabad. They started using applications on laptop three-four years back while performing kirtans, discussions or recitations. "When such applications started getting available on smartphones and other cellphones, our group readily adapted these and we have been routinely using these," Sukhwinder said. "Apart from Guru Granth Sahib, other texts like Dasam Granth and Varaan Bhai Gurdas have also been included in such applications," he said. "There are some problems with interpertation at some places but those would also be addressed with time," he pointed out. "It is becoming a common sight in the gurdwaras now that when the Raagis start reciting a shabad (hymn), the young in the audience switch on their mobile phones with such applications and recite along with the gurbani flawlessly," said Charanjeev Singh, a Jalandhar resident. "The better understanding of gurbani through use of such latest technological advances is rather helping to bring the young generation closer to the religion," said Raagi Babir Singh. He said that he was also using his iphone for the purpose. "During our trips abroad, this comes in handy as it has put an end to the practice of carrying religious books along," he outlined.Words "Data" "GB" "Storage capacity" "PDF" now figure in the handling or packaging of religious literature as Sikh preachers talk about it. 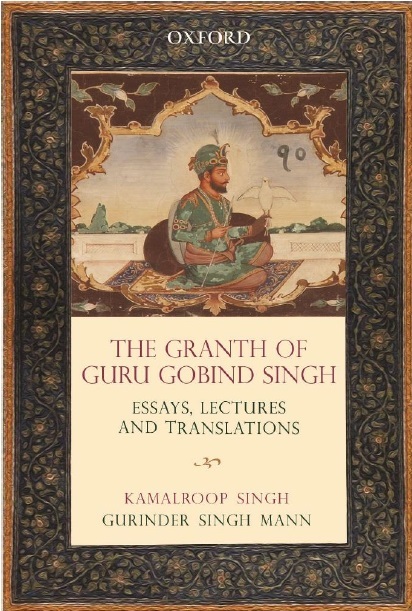 "I gifted 70 GB data to a prominent Kathavachak (discourse deliverer) which contained several old texts in PDF form and he named this on his website "Anmol Khazana" (precious treasure)", Balbir Singh said, adding "this Kathavachak got popular for using iPad during his discourses".